The SDI Divemaster Course can be conducted in as little as three weeks; however, it is recommended that you take at least one month to gain as much experience as possible. During this course you will develop your diving knowledge through classroom discussions and independent study, as well as learning more about customer service and professionalism. This program offers you a real life opportunity to work hand in hand with your instructor in a dive shop setting. During the Divemaster course, you will conduct knowledge development by using the Divemaster Crewpack or SDI eLearning. Water skills and stamina are evaluated together with diving abilities. You will complete a diver rescue scenario, a dive skills workshop, a mapping project, dive site set up and management, dive briefing, search and recovery scenario, and deep dive scenario. You will also complete a Scuba Review, Skin Diver workshop, Discover Scuba Diving workshop, and a Discover Local Diving workshop. You will function as an instructional assistant to the instructor during courses in confined and open water. Professionalism will be evaluated throughout the course. 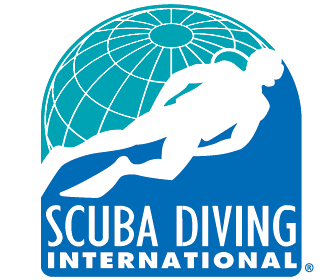 Upon completion of the Divemaster course you will be qualified to attend a SDI Assistant Instructor (AI) course or a SDI Instructor Development Course (IDC). You can also take the Discover Scuba Diving (DSD) Leader course. Certified Divemasters are able to conduct and teach the following courses as well: SDI Skin Diver, SDI Discover Snorkeling, and Scuba Review. Because this is a very complex course we recommend you contact us so that we can construct a plan specifically based on your needs. Each student is different! Please contact us at info@mexicodivers.com.